By attending our Open House, you'll learn more about Cornell's Master of Public Administration program, offered by the Cornell Institute for Public Affairs. You'll also learn how you can jumpstart your future as a leader in public affairs. A number of CIPA students are available to host prospective students for a night or two to help defray the cost associated with a visit. Alternately, you can make your own lodging arrangements. We have a block of rooms reserved at Hotel Ithaca, located downtown Ithaca near the Commons. It offers some shuttle service to and from the airport and to and from campus. You can call them at (607) 272-1000 and provide the group name (CIPA Open House) or go online and reserve a room using the Group Access Code: 3963. A complete listing of local lodging options can be found on the Visit Ithaca web site. Please indicate your lodging preference on the RSVP form. Below is a tentative schedule of events for Open House 2019. Connect with Faculty, Staff, and CIPA Student Leaders! Enjoy a few of the signature tastes of the Finger Lakes while getting acquainted with key members of the CIPA community. Get acquainted with CIPA students at the Big Red Barn, Cornell’s on-campus social center for graduate and professional students. Download and Explore the MPA Guide Today! Can't make this event but want to learn more about Cornell University's Master of Public Administration program? 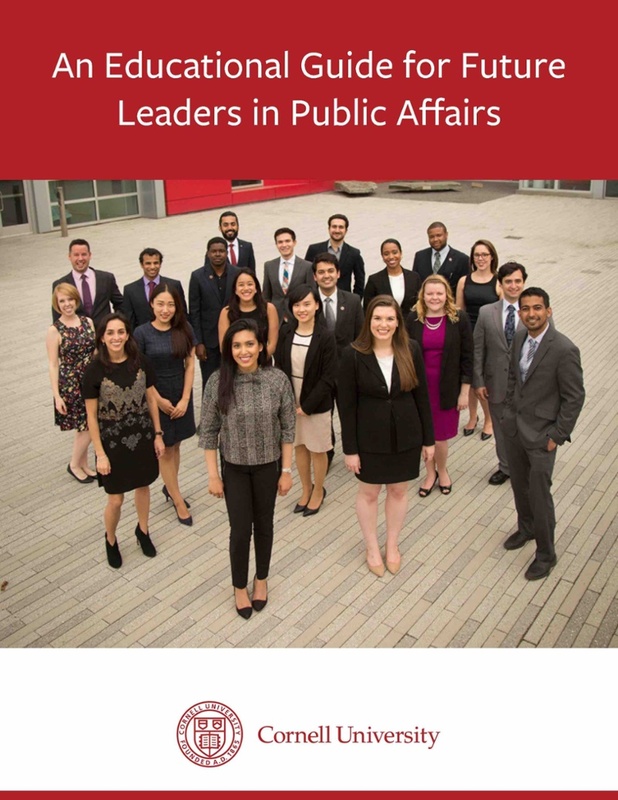 Click the link below to request more information and to connect with an admissions professional from the Cornell Institute for Public Affairs!